Pie Server | Kitchen Tools(KEB-219) - Keywood International Inc.
Large pie server is perfect for slicing and serving cakes, desserts, cheese and even lasagna.The large size makes it ideal for slicing through large round cakes in a straight line with its sides, and serve the cakes by scooping it up. The handle contains a slot for drying and hanging the utensil. 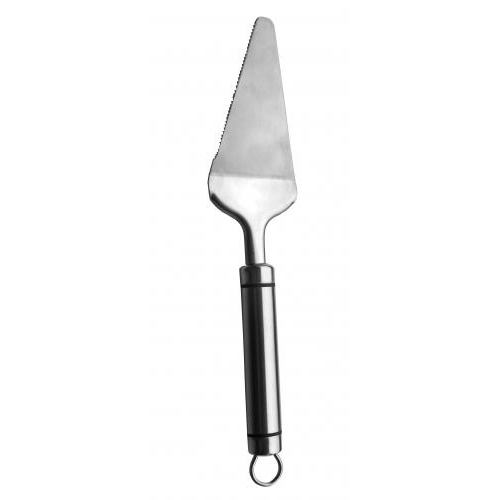 Ideal for cutting through large area of pasta, pizza, pastry or dessert.